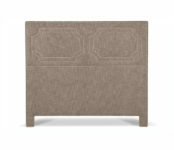 Category: HE-Avanti, Bedroom, Beds, Bed Frames. Tags: 0-2 Weeks Production, Howard Elliott. 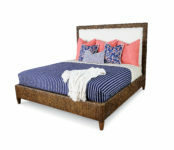 Product Description: Convert a basic Box Spring into a Platform Bed using HECs Box Spring Slip-cover & Frame Support. 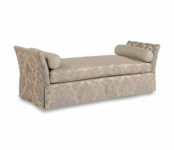 Simply fasten the Frame Support to your current Box Spring then slip on the cover (included). It really is that easy! Box spring Mattress not included. Includes frame supports, hardware, feet & cover. Fits most standard size box spring mattresses. 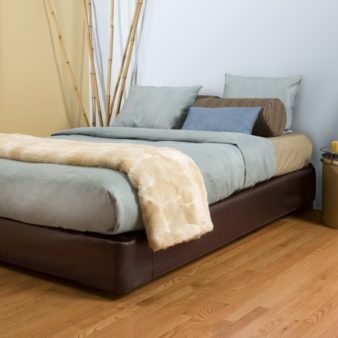 Tan Faux leather cover provides the perfect base for your bedding arrangement.